Saturday, April 13th, 2019 from 10 a.m. - 4 p.m. 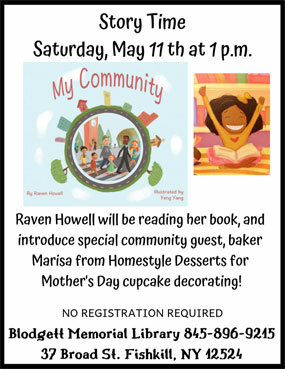 I'll be signing books and chatting! Friday, May 3rd, 2019 from 11 a.m. - 12 p.m.
Parents, toddlers, all children welcome! Musical entertainment provided by the fabulously talented Emily Ellison. I'm on the lit panel and will also be signing my books. 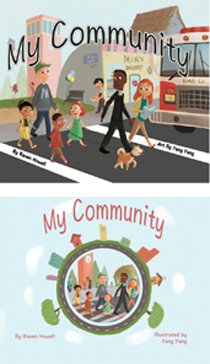 June 21, 2019 at 10 a.m.
We won the prestigious Story Monsters Approval in Cultural Diversity for My Community as well as an honorable mention from Kids Shelf Books for the cover design, and The Mom's Choice Award honoring excellence! 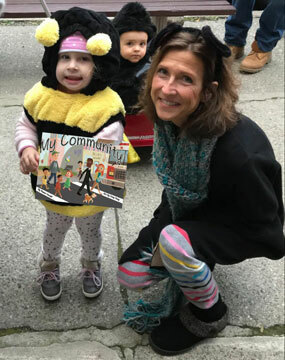 A girl walks readers through her day, introducing the many members of her diverse community in Howell’s (Shimmer, 2017) rhyming picture book with illustrations by Yang (A New Book for Jack, 2017). A nice reflection of a diverse, multihued world. Colorfully illustrated and with plenty happening to keep a child amused, this might prove very popular at bedtime. A delightfully bright story with a strong community message of how life should be in a multi-cultural community. Warm and comfy with a sweet ending. Highly recommended! A prolific children’s poet offers an eclectic collection of nighttime pieces. This verbal and visual treat portrays the evening as a lively and thought-provoking place of wonder. A Star Full of Sky by Raven Howell is an illustrated collection of twenty-five poems intended for young children and early independent readers. Each poem is relatively short, typically no more than two concise stanzas, and none take up more than half a page. Further, illustrations by Caryn Schafer appear intermittently throughout the collection. Themes found throughout the poems revolve around space and scientific facts. These poems can be used as a teaching tool as well as for straight entertainment. The author utilizes rhythm and rhyme in each poem; in fact, the poems are much more enjoyable when read out loud. The author’s rhyming added significantly to the melodic tone of each poem, and words that were rhymed together never felt forced. Additionally, the author imbues her prose with a magical, almost effervescent feel. This collection is truly written just as much for adults to enjoy as it is for children. I was most impressed with the subject matter of this book. The poems focus on space, planets and the universe, and they include historical and scientific terms that will definitely get children and adults thinking. Galileo, UFOs, the galaxy, comets and what they are made of, Pluto and it’s demotion from planet status, constellations, the horizon, cumulous clouds, and black holes are just some of the topics introduced in this collection of poems. Not only will these subjects spark conversation between children and parents, they will also get children thinking about topics they might have no previous knowledge of. This book provides a fun way for children to begin learning about science and gain excitement about the topic. The illustrations are simple images drawn in black and white. At first, I’d hoped for more from the images since the cover of the book is bright and intricately drawn. However, as I read through the collection of poems, I found the illustrations perfectly complement the author’s words. The simplicity of the drawings ensures they do not distract from the lyrical prose and intriguing content of each poem. Further, the poems are quite short, so the basic drawings are just enough to capture the attention of a young reader without distracting them from the words on the page. As an adult, I found these poems incredibly enjoyable. Although they are short, they pack a lot of information and curiosity into their words. I found myself considering each poem and analyzing them in-depth. I can see how curiously fun each of these poems would be for a young child. However, I do recommend these poems be read with a parent or adult because children will surely have questions about the meaning of some of the terms used throughout the poetry. A Star Full of Sky earns a full 4 out of 4 stars, and I applaud the author for finding a unique and fun way to introduce young children to the joys of scientific exploration!